If your dog is "in season" or just finished or you suspect she may be coming into season or pregnant, please leave her home and come on a future walk. * NB. We have been advised that non-members are not covered by Public Liability Insurance. 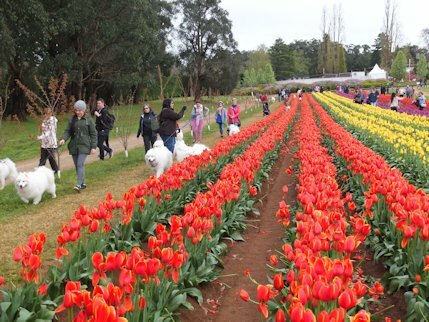 Membership is only $30 pa (includng emailed Snow Courier) and we would love you all to join. ** You can pay $8.00 pa which we forward onto the VCA to cover you for public liability when participating in club events. 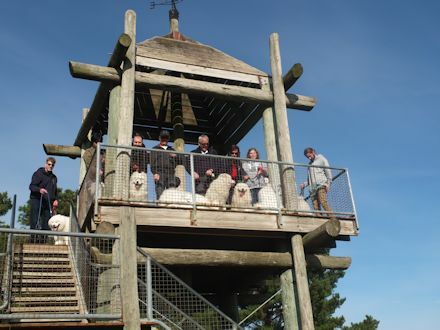 If you have a puppy under nine months of age, or an older dog that is not up for this distance walk, please feel free to join us for part of the walk or the socialisation at lunch time. We all know Samoyed puppies are irresistible, and sometimes as new puppy owners, we are very excited and can't wait to show off our gorgeous bundles of fluff to the world, however, please do not bring puppies under 9 months on our pet walks. Your puppy is more than welcome to join us at the end of the walk for lunch, socialisation and lots of cuddles, however long walks are less than ideal for their young developing bones. Please speak to the co-ordinator or your breeder if you have any questions regarding this. 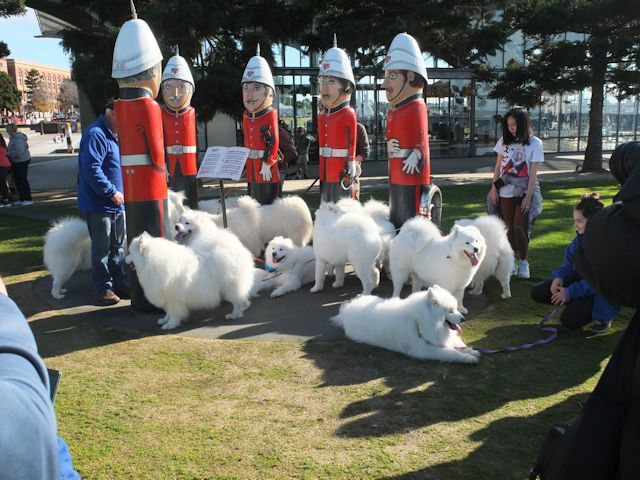 SAMOYED CLUB OF VICTORIA INC. Welcome to our Pet walks page. 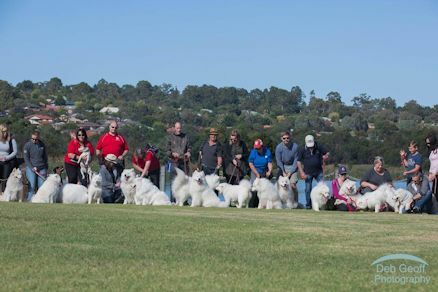 Pet walks are open to all Samoyed owners and are held on a monthly basis at a wide variety of locations throughout Greater Melbourne. Walks are usually held on the first Sunday of every month and depart around 10am, although there are exceptions to this, so make sure you pay attention to the details on our webpage or Facebook page for each particular walk. Walks are varied in length, and will also vary from gravel tracks to sealed paths to beaches and everything in between. You are welcome to bring a picnic lunch and or refreshments for after our walks. There are a few rules that participants are asked to adhere to, the most important being the on and off lead restrictions. If an area is on-lead only, it is imperative that everyone complies to avoid any unwanted attention. Participants must ALWAYS clean up after their dog. If you forget a plastic bag, don't be afraid to ask another participant for one. Lastly, if you know your dog has some work to do on his social skills, please speak up so other participants are aware of it and can therefore give your dog space. Pet walks will be cancelled when certain inappropriate weather has been forecast for the day the walk is scheduled. The relevant forecast to use is from the Bureau of Meteorology website on the evening before the walk is happening. For example, if the walk is occurring on 5th January, then the relevant forecast is the one issued the evening of 4th January. This is the only weather forecast to refer to. · extreme inclement weather like storms or where heavy rainfall is forecast for the entire day regardless of the season. If in doubt, please call the walk co-ordinator for further clarification. If you have a favourite walking spot that you think would be a great inclusion to our schedule, please feel free to contact us, as we are always thrilled to hear about new and suitable locations. Anyone planning on attending should put the walk co-ordinators mobile number in their own phone in case they get lost on the way to the meeting point or find that they are in the wrong place altogether! If it is close to the departure time and you can't find us, then just call for help. We are happy to wait until you arrive if you let us know! Water and a bowl for your dog. Basic First Aid Kit - Band Aids etc. Make sure you wear comfortable walking shoes and appropriate clothing for the weather conditions and don't forget SLIP SLOP SLAP! Can't wait to see you and your Samoyed soon!! Need more information? Contact us by email or call one of the walk co-ordinators. 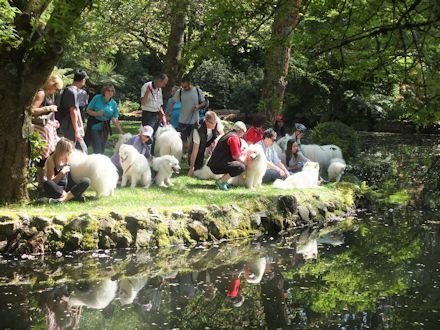 Please Note: The Samoyed Club of Victoria Inc will not be held responsible for any loss, damage or injury to any person, property or animal on any pet walk. Pet walks are not a sanctioned club event, therefore all participants agree to take part at their own risk.